Give Dad a Sense of Security with Vimtag Smart Cloud Camera! Dads tend to take the responsibility on their shoulders of keeping their family safe and their homes protected. 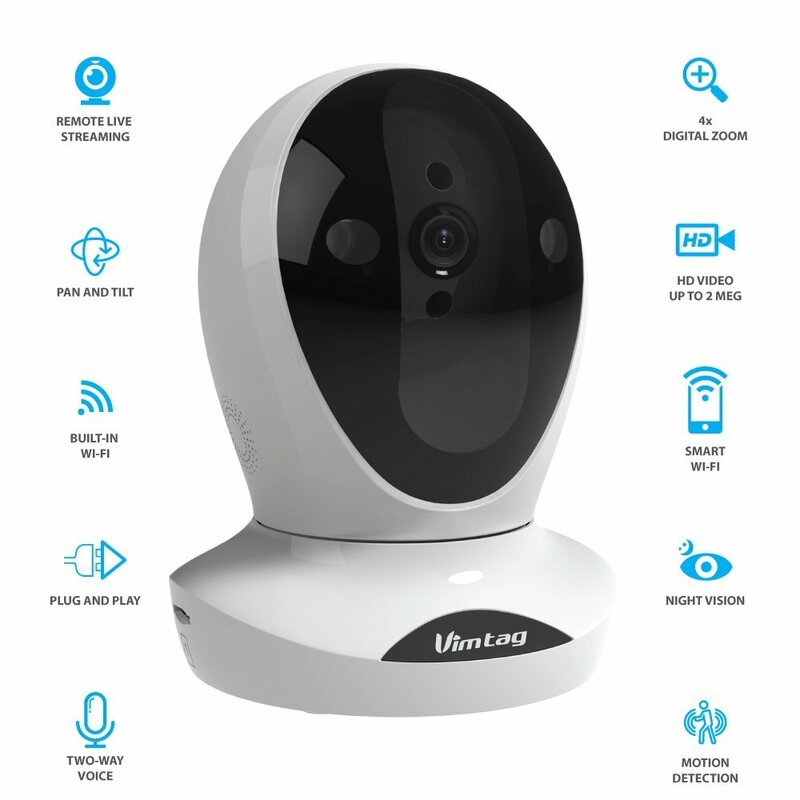 So there is no better Father's Day gift this Sunday then the Vimtag® P1 Smart Cloud IP camera, a smart home monitoring product that come equipped with motion sensors and interconnected capabilities. Vimtag products let dads check in anytime with real-time alerts and streaming HD video (including night vision) via the Vimtag app, as well as record for security purposes with the new Vimtag CloudBox video storage device for remote recording from up to four cameras or via the mini SD card slot featured in every camera. The Vimtag® P1 Smart Cloud IP camera really stands out from the rest with features such as remote live video streaming via smart phone, tablet, and PC app and Motion Detection Snap Shot alerts. Plus, it doesn't stand out like a sore thumb because it features a modern, lightweight design (3.58 x 3.5 x 4.7 in) with no antenna needed but still captures stunning HD video quality video with its remote pan (360 degrees) and tilt camera with 4X digital zoom and advanced night vision technology. Best of all, Dad doesn't have to spend all Father's Day setting it up! It is really easy to set up (only 3 minutes!) via QR Code Scan and smart Wi-Fi! So say hello and Happy Father's Day to Dad through the Vimtag® P1 Smart Cloud IP camera this Sunday with its clear Two-Way Voice audio and give him the gift of some relief from the stress of protecting his home and family! Let Vimtag take the burden and watch over your home for you! You can purchase Vimtag® P1 Smart Cloud IP camera for $129.95 from vimtagusa.com and Amazon.